The prestashop addons adds a block containing a tag cloud, with full SEO support & search tags page. 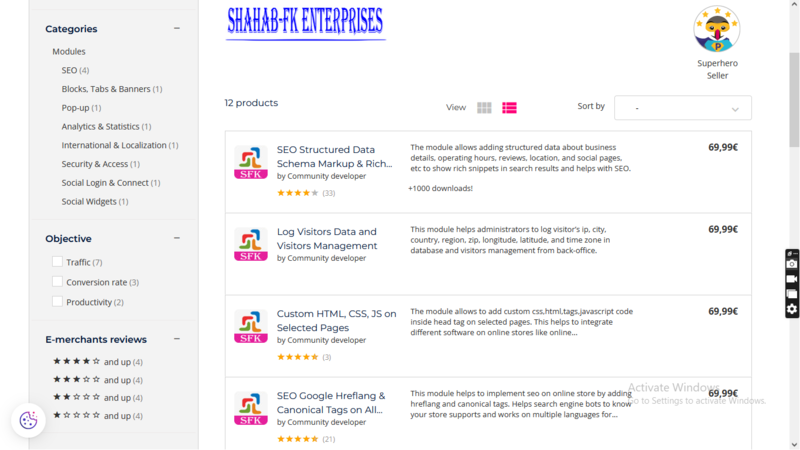 This helps to add keywords, products or any other information for easy navigation in respective page. This module is easy to use and install. The module adds a block containing a tag cloud, with full SEO support & search tags page. This helps to add keywords, products or any other information for easy navigation in respective page. Simply add tags from back-office products, categories tags with URL and tags cloud will be displayed in front-end.When user will click on tags, user will be redirected to respective page. This helps to showcase products in interactive way, advertise offers and promotions on products and easy navigation using click on tags.This module can be shown in left or right block in any order from top to bottom. This module will helps customer to understand your products, services and information about your company and store.This will helps in digital marketing, Search engine optimization and increase in sales. – Simply add products, categories or any other tags with redirect URL from back-end. – Tags block module display tags cloud canvas. – User clicks on tag and redirect to respective page. – Easy to use and install. â Support all browsers: Firefox, Chrome, IE, Safari etc. â Increase sales, conversion rates and products promotions. â Maintain existing customers & Attract new customers. â Lower marketing expenses, exposure to potential customers, reach targeted audiences. 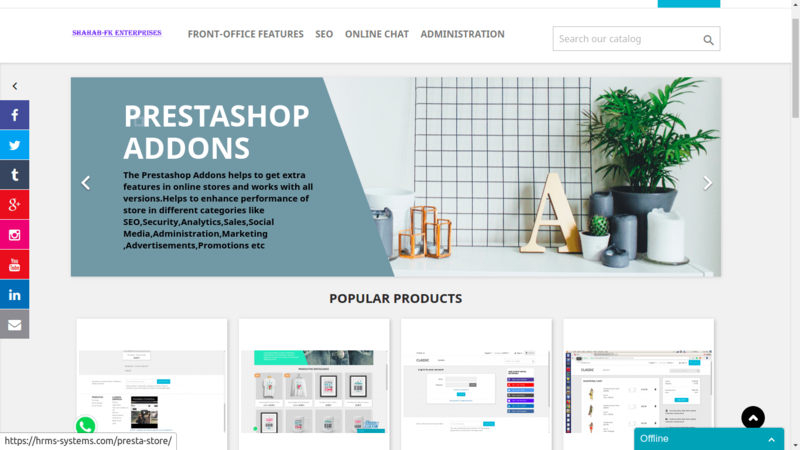 â Compatible with PrestaShop 1.5.x,1.6.x and 1.7.x. â Multiple browsers compatibility(IE, Firefox, Opera, Safari,Chrome and Edge). â Mobile,Tablet and all device compatible. â Multi-language and Multi Store compatible. – Interactive Look and feel. Simply add tags from back-office products tags and tags cloud will be displayed in front-office. When user will click on tags pages redirect to respective page. This helps in SEO. Below is youtube demo link.